Discover the underwater world of Perth on a 6-hour scuba diving tour that includes either two morning dives or one evening dive. 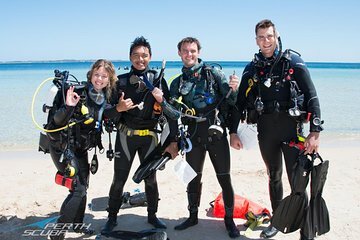 Your expert scuba diving guide shares the best of Perth’s rich marine life with you during a dive experience that includes all necessary equipment, and transportation from the dive shop by air-conditioned minivan. Participants must have the PADI Junior Open Water Diver certification or more for this dive package.